Cade Smith, a senior at Wauseon High School, has been named the Four County Career Center Student of the Month. The son of Jason and Lisa Dietrich, Cade is in the Powersports program at the FCCC. He was nominated by his instructor, Larry Soles. He is a member of FFA, and is on the FCCC Honor Roll. After Cade graduates, he plans to obtain his real estate license and work on engines. Students who achieve this recognition throughout the 2018-19 school year are honored with a certificate of recognition. 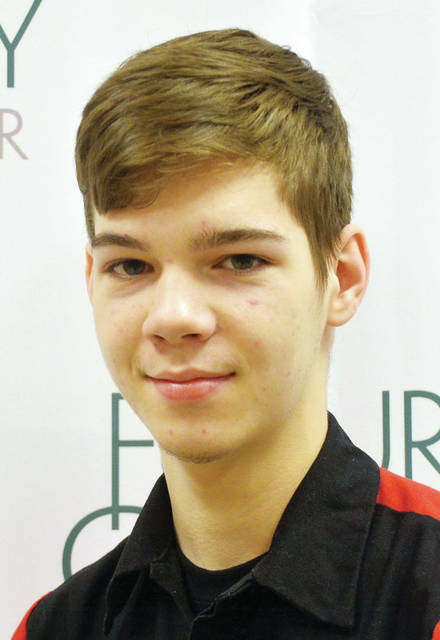 https://www.fcnews.org/wp-content/uploads/sites/45/2019/03/web1_Smith-Cade.jpgCade Smith, a senior at Wauseon High School, has been named the Four County Career Center Student of the Month. The son of Jason and Lisa Dietrich, Cade is in the Powersports program at the FCCC. He was nominated by his instructor, Larry Soles. He is a member of FFA, and is on the FCCC Honor Roll. After Cade graduates, he plans to obtain his real estate license and work on engines. Students who achieve this recognition throughout the 2018-19 school year are honored with a certificate of recognition.